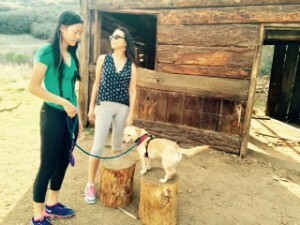 Home→Favorite Hikes→Paramount Ranch – Where The Old Wild West meets Malibu? Located just a few minutes northwest of Los Angeles, sits a small old western town, nestled in the beautiful Santa Monica Mountains. It’s not just some boring old western town either! 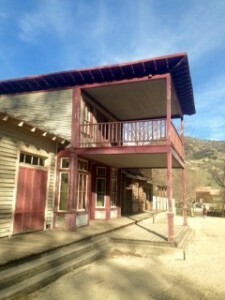 It’s where the Old Wild West meets Malibu! 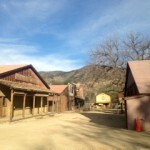 Back in the 1920’s for many years, Paramount Ranch was once a busy working movie ranch. It was just minutes away from famous Malibu Beach. 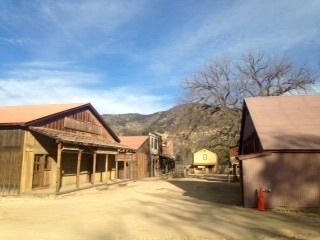 Hollywood based studios couldn’t recreate an old western town on sound stages and back lots, so they ventured out to the rustic wilderness of Southern California to find filming locations. 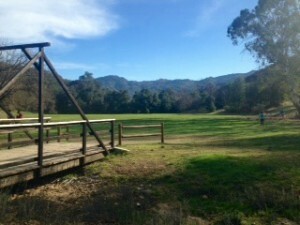 The natural 2,700 acre of California landscape was perfectly suitable for western locations and other type of settings. Paramount Studios specifically purchased this land for filming. Many movies and T.V. 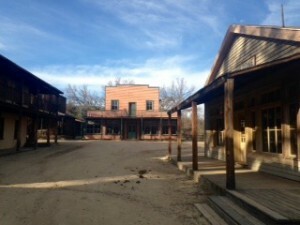 shows were filmed at Paramount Ranch for 60 plus years. This site has posed as Tombstone, Arizona and Dodge City, Kansas. It also has fooled moviegoers to think that this site was Montana, Colorado, The Ozark Mountains, Albuquerque, New Mexico and Tom Sawyer’s Missouri! Crazy! 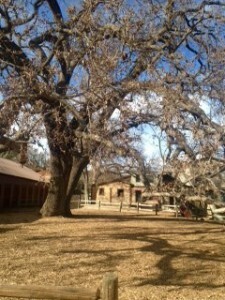 Lucky for all of us, Paramount Ranch is open to the Public today! You can meander through the charming western town and explore these picturesque grounds. The land surrounding the western town is gorgeous and there are several well groomed trails to go hiking & mountain biking on. Feel free to bring your dog, always keep them on their leash and don’t forget to pick up after them! 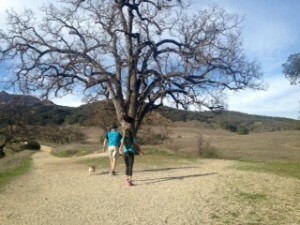 For some reason we always find ourselves at Paramount Ranch on Valentine’s Day. 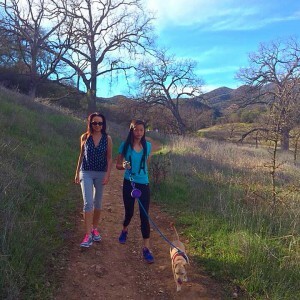 We love picnicking (yes, we’re so lucky we can picnic in February) and we love going on long walks here. It’s pretty romantic, even though we always take the whole family. It’s our family Valentine’s Day excursion! You can even horseback ride here! We’ve rode here and it’s pretty amazing, leave alone that the views are absolutely stunning! You’ll feel like you’re riding during the old wild west days! 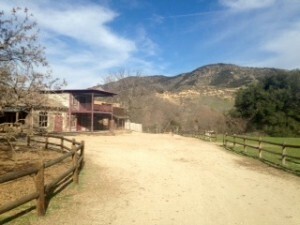 Paramount Ranch is located at 2903 Cornell Road, Agoura Hills and is open every day, from dawn to dusk. Business office is open 8am-5pm. 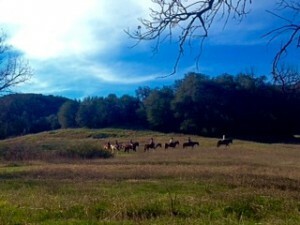 If you’re interested in horseback riding at Paramount Ranch, contact Malibu Riders at (818) 510-2245 or make a reservation online at maliburiders.com. Meet at the Paramount Ranch parking lot. Enjoy where the Old Wild West meets Malibu! It’s a hidden gem, for sure. Glad you enjoyed it! Neat location to visit and see. Can see remains of old racetrack meandering in spots too.